Male Bald Eagle in flight bring fish to nest. The female didn't want to leave the nest. 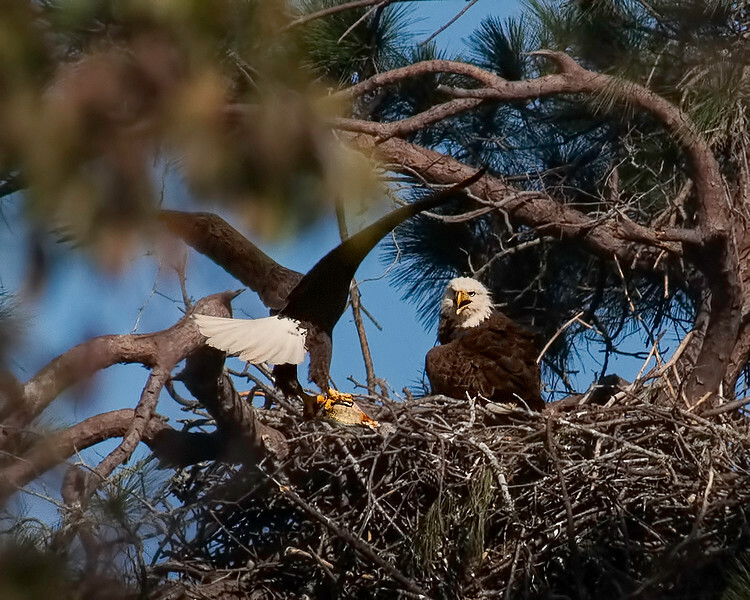 This is common for female not to want to leave the nest the first few weeks of chick hatch.